So I want to make the switch from WordPress.com to WordPress.org. Can wordpress.com HOST a wordpress.org? I plan to go with a different domain as well. Complete rebranding. Its been said over and over that wordpress has the best SEO. I want to make sure that whatever host I use has the best SEO. Thank you. Can l use other hosting aside from your reccomendation..a phillipines version. Thanks for such an insightful article. I have been going back and forth trying to decide on a platform to start on for blogging and ecommerce. This article cleared up a lot of the confusion I had between WordPress.org and WordPress.com., and has helped me make a decision on which would be the best route to take. I have been back and forth with the many different sites such as Shopify, Bigcommerce, Woocommerce, etc. for ecommerce and didn’t feel like any of those had exactly what I was looking for. I felt like they were still missing something. WordPress kept coming up and I was very hesitant on whether or not WP would give me the freedom of customization that I was searching for to make the site truly mine. Cost to get started was also something that was an issue and looking at this nice breakdown that you’ve provided makes it clear for me to choose which would be the best option to accomplish my goals! Thank you so much for this article. I am now clear on which site to choose. I am a total beginner. I have made a note to come back and click through to bluehost through this article once I am ready! Wow a lot of useful information in 1 info graphic saved me a lot of time. Thanks for the useful post. I am in the process of freelancing websites for small businesses. When it comes to hosting a bit ignorant on the topic though. How does self-hosting with Bluehost, for example, work as it relates to plugins, themes and maintenance. I am assuming I still have access to those things and how much extra maintenance is there are on my end if I self-host? If you just want to use it for homework, then you can go for WordPress.com. If you want to grow your website in the future, then you may want to go for WordPress.org. Hi, if I’ve got a Personal plan on WordPress.com, do I lose the subscription fee if I migrate to WordPress.org? Also, am I guaranteed to get the same domain name when I migrate to the new host? Thanks! If you recently signed up for WordPress.com, then you can contact them to see if you are eligible for a refund. As for domain name, you can use your custom domain on your self-hosted WordPress.org site. Instead of WP.com in cpenal. Thank you for your in-depth comparisson between these two platform.This is exactly what i have been looking for. But,why would some one use wp.com if they can get almost anything they needs for free with wp.org? 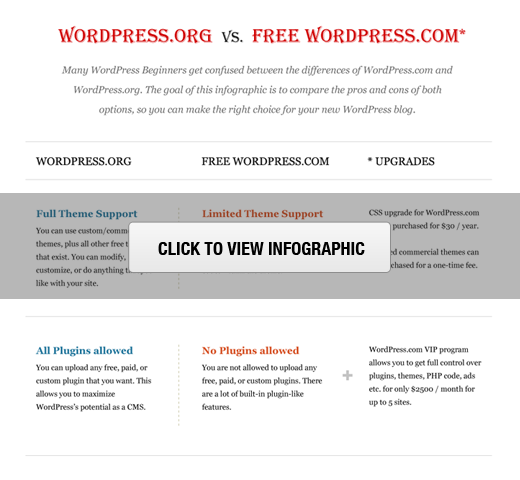 WordPress.org is free as a software, you will still need to purchase domain and hosting. It offers more features and freedoms. WordPress.com offers a basic free account with limitations. You can upgrade to get more features but it will still not have the same freedom as installing a self hosted WordPress.org website. Is the wordpress app for android for wordpress.com or wordpress.org? Also I am about to be allowed to switch over to wordpress.org I dont have bluehost I have siteground..when I switch who installs wordpress.org on my domain? Me or siteground? The app is for WordPress.com however it works for self hosted WordPress websites as well. You can contact SiteGround support and they will install WordPress on your domain. Thank you for the posts, they’ve been really educating. 1. Which plan is best for me. And why? 2. Must i have a backup plan on my site? 3. Must I pay for privacy and hacking, no mater the plan I go for? Please see WordPress.com website for details of the plans they offer. Remember, that if you are using WordPress.com then only the Business plan will give you access to upload themes and plugins. Hey, thanks for your support it is thoroughly comprehensive. However, I need your help on the way forward. I am torn between website and blog. I want to show case my portfolio and attract clients. Meanwhile, I work on various small projects so don’t have the time to throw myself fully into blogging. Next, I first want to put up my portfolio before I go live. Please help work this out. 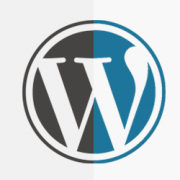 I have already installed the WordPress via WordPress.org. But, I can’t rename the file wamp64 in the program file. Keeps telling me the file/folder is open in another location. Can I work on my platform without going live? I feel comfortable testing it locally before going out bold. Why would you want to rename the wamp64 file? You are probably trying to rename the WordPress folder that you downloaded. Yes you can totally work on WordPress locally before going live. See our guide on how to install WordPress locally on your computer using WAMP. Hey there, thanks for the guide. Just wondering, let say I have subscribed to the personal plan on wordpress.com. If I consider moving to self-hosting, can I bring along the domain name purchased from WordPress.com over? How will that work for the transfer? Yes, you can move the domain to self hosted website by simply changing its DNS and pointing it to your hosting provider. Please see our guide on how to properly move from WordPress.com to self hosted WordPress.org site. Does this mean if you buy from Bluehost you can have access to the plugins or do you still have to buy the business plan from WordPress in order to install those plugins, which costs around $245 a year up front? A bit confused about this. As a complete newbie it looks like I can buy web hosting BUT I still have to buy the business plan in order to use the plugins. No. If you buy self hosted plan from Bluehost, then you will not have to pay for WordPress.com business plan to use plugins. You will be able to install all WordPress plugins available. My client has a WordPress dot org account, but there is no “Plugin” option in the left column. Nor can I find it anywhere on the dashboard. Any ideas? Hi and thanks so much for your insights and extremely helpful resources. Just wondering how you know which of the themes available in a market is wordpress.org v .com. I searched specifically for wordpress.org theme but they were limited in comparison to general search. However I did notice themes I had seen previously in general market searches for best themes in that niche; but only one.. I want to start a food blog using wordpress.org. In choosing this does it limit my choice of theme. I may be looking in the wrong place and if so maybe you can point me in the right direction? Thanks once again for great work. WordPress.com doesn’t allow for custom themes, so all the themes that you see when searching on markets and other places are to be used with WordPress.org. So no, using WordPress.org doesn’t limit your options, it expands them. I’m a writer, and want to start a blog about a personal subject in order to reach out to others with the same challenges. I have never written a blog before. There’s nothing more annoying than website ads, so I would prefer not to have them. On the other hand, I want to own my Blog & my Domain Name. You’ve often recommended Blue Host. Do you own this hosting site as well? What is the difference between your hosting & theirs. What type of hosting would you recommend? No. We do not own Bluehost or any other hosting company. WPBeginner is a WordPress resource site for beginners. If you want to own your blog and your own domain name, then you will need a self hosted WordPress.org website. Please see our step by step guide on how to start a blog. Yes you can use Google Adsense on your self hosted WordPress.org website. Hello! I want to migrate to wordpress.org but temporarily, I would like to try out the personal plan of wordpress.com as I cannot afford hosting yet. If I migrate to wordpress.org, will I still have to pay for the plan I was using prior to the transfer in wordpress.com? Thanks! If you signed up for a self-hosted WordPress.org site and wanted to move it to WordPress.com, then you’ll have to pay for the domain name. Most hosting companies do not offer trial plans. So make sure you understand their policies before signing up. Similarly, if you signed up for WordPress.com’s free plan and bought a domain name, then you will have to pay for the domain name. The personal plan is free so you can migrate to a self hosted WordPress.org site when you are ready to do so. Wow! Am Most impressed with this article, but my question is, will my wordpress.org hosted blog provide auto email respoder services for my blog subscribers? Auto email sending feature is not built-in to the WordPress core itself. However, there are plenty of third party services and plugins that you can use for that. Thanks for this article super helpful! I have a personal plan with a G Suite account attached to it on wordpress.com. If I want to transfer it to a self hosted wordpress.org site, will my G Suite account be ‘transferred’ as well or will I have to cancel the subscription I ordered on wordpress.com and set up a new G suite account for my wordpress.org site? I hope that makes sense. You Gsuite account uses your domain name which is currently managed by WordPress.com. You can manage your domain name on WordPress.com and point it to your WordPress.org hosting provider. You can also move your domain to your new WordPress.org host. You will have to add G Suite A records to your domain settings. Contact Google, WordPress.com, and your new self hosted WordPress.org hosting provider to ensure smooth transition and detailed instructions. Hi, I have a self hosted wordpress site hosted by hostmonster. If I sign up for bluehost services, how can I migrate my site’s content from hostmonster to bluehost? Thank you. Please see our guide on how to move WordPress to a new host or server. You can also take advantage of our free blog setup service. I want to change default currency in my website, from USD to INR what should be done. i’m new to the whole wordpress and website scene but am considering to do some work on a website for my comapny myself to learn the basics and to have full control over the process. We do already have a domain and a host – does it make sense to purchase a theme and use it with wordpress.org as a simple way of creating a decent website? Our website is super outdated and was created over 10 years ago by a former employee. If you already have a hosting account then you can add a domain name and install WordPress. I currently have a blog on WordPress.com and find the reader and tags very good to gain more readers and followers. Does the ‘reader’ become unavailable on self hosted and can people still follow you on self hosted? Are there any limitions on the WordPress app for iOS between Self Hosted and Hosted? If I switch to WordPress.org + Blue Host – let’s say , Would I be able to start e-mail marketing for my blog? Would I have tools for this? Would I have to pay extra money for e-mail marketing tools? Yes, you will be able to start email marketing. Yes, you will have to use an email marketing service for best results. I’m using bluehost.Because it’s free,so it’s some not convinience. Such as,Google can crawl your website.But bot of another SEO services can’t crawl it.It always have error. And another services : Ahref…are also. Excellent info – thank you! I started on WordPress.com and bought my domain through them with the premium package. Can I transfer that to WordPress.org or do I need to start over with a new domain name? You can use the same domain with your self hosted WordPress.org site. You will just need to change your domain name settings and point them to your new host’s name servers. Thank you sooooooooo much for this article! You guys helped me make the switch from WordPress.com to .org! WordPress.com turned to be something different. I paid $35 to upgrade but since then, I can’t even install plugins and my site is struggling to survive. Is it daylight robbery? Please work for the betterment of your clients. I currently am blogging at Blogger but would like to migrate over to WordPress.org . It seems like all the comments below are about WordPress.com/org. Is there an easy way to switch from Blogger? Thank you for this useful article. I’m trying to create a wordpress.org site but find that I’m being moved to.wordpress.com every move I make. How do I even create wordpress.org account? I went to their website and was forced to download the app, which I think is .com , and also asked me for $129 to use my ow n domain. Please follow the instructions in our how to start a WordPress blog guide. Great article! However, I have a question which some other readers may also experience. I have purchased Go Daddy’s WordPress Website product which includes hosting. Is having this product as good as using WordPress.org or more comparable to WordPress.com? It is a self hosted WordPress.org site. Hi! Thanks for the informative article. I have the same question as above and would like more clarity on it. I have purchased Go Daddy’s WordPress Website product which includes hosting (I think!) and if this is same as a WordPress.org site (as mentioned above) why am I always being prompted to upgrade to Personal, Premium or Business plans? Why not the WordPress.org plan? And if I am on WP.com and if I make the shift to WP.org how will it affect my URL? Will it be .org? I cannot remember visiting any blog with this sort of URL. Any response to my queries will be highly appreciated. Thanks in advance. Most likely you are using a self-hosted WordPress.org site. The easiest way to check this is by installing a plugin, if you can install a plugin then you are using self-hosted WordPress.org site. For detailed explanation please contact GoDaddy support and they will be able to help you understand. Does this mean I can’t apply for google adsense with my WP.com account? 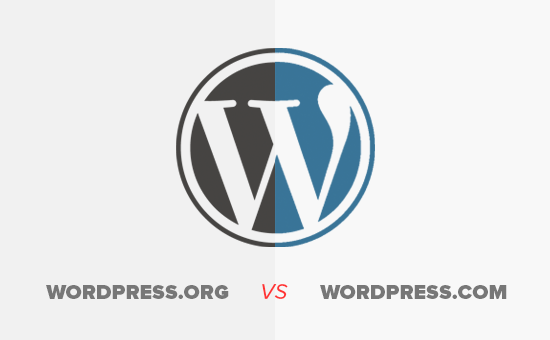 I read the differences between WordPress.com vs. WordPress.org. What if you don’t care about making money from your site but you do want to post blogs regularly, add plugins etc. What would be the best suitable option? 1. Is wp.com cost money for build a site? 2.how will I pay the money? 3.IF I don’t pay money what will they do? You cant be able to build a website using wp.com, if you are talking about the blog, then yes you can. For this you have nothing to pay. Thanks so much for your wonderful advice here! I am wanting to set up a webhost on Blue Host and then use WordPress.org for blogging. I will be moving my Blogger blog over. I have always worked from another computer (other than my home or phone) on my lunch hour and before and after office hours through my gmail account. If I set everything up that way – from another location than my home computer – will it all actually still be hosted only from my home computer? (I hate to sound so dumb – but I really don’t know or understand how these things work, I just use them.) I don’t want to do anything wrong or illegal, but have time limitations for setting things up at home and want them to work primarily from my homebase but be accessible everywhere that I go. Can I set it all up remotely or do I have to set up from home originally? It will work just like your Blogger blog. Your WordPress site will live on your Bluehost hosting account it will be your website’s home on the internet. You will use your own domain name to access your website like (wpbeginner.com or google.com). You will be able to access your site on the internet from anywhere, using any device or computer. Thanks so much for this great explanation… I didn’t even realize there were 2 different wordpresses… lol… Man.. So if I want to build a site that works on desktop and mobil, is it easy to do with wordpress..? Do you build say, a desktop site and just push a button and it converts it into mobil..? Any thoughts about this are greatly appreciated..! I used to use NetObjects Fusion which was great back when there was no mobil but things are way different now.. Yes your WordPress site will work on both mobile and desktop. You will need to use responsive design template and most modern WordPress templates are responsive by default. Just to make this crystal clear for Johnny. Wordpress sites don’t work on mobile by default (rather they can look horrible with loads of scrolling). To have a site work (look good) on mobile is all about which THEME YOU USE and purchase. Although you’d think most themes should now work well on mobiles, there are still many out there that do not. So when choosing a theme, ensure it is ‘Responsive’ because not all of them are. And ideally check it out live or at least view screenshots of the theme on mobile devices to double check it looks good on mobile, before you buy. Some themes are better than others for mobile, and although they may say responsive, some cater better for all screen sizes than others do. My church created a website on “wordpress.org” The administrator is handing over the administration duties to me because I have some web training. He created a New User and checked the “Administrator” role for me. He emailed me the password. I am able to log in to the /wordpress/wp-admin/profile.php Profile page and the /wordpress/wp-admin/index.php Dashboard page. When I am in the Dashboard page, I do not have any tools or controls present in the left-hand navigation pane. In the main body of the page, I have (2) text sentences with a vertical red bar to the left of them. The first message says “You’re using W3 Total Cache plugin. If Captcha by BestWebSoft doesn’t work properly, please clear the cache in W3 Total Cache plugin and turn on ‘Show CAPTCHA after the end of the page loading’ option on the plugin settings page.” When I click on the hyperlinked settings page, a new page is displayed with the message “Sorry, you are not allowed to access this page.” The second text sentence with the vertical red bar to the left says” No valid license key has been entered, so automatic updates for Envira Gallery have been turned off. Please click here to enter your license key and begin receiving automatic updates.” When I click on the blue hyperlink a new page is displayed that says, “Sorry, you are not allowed to access this page.” I have read several hours worth of help and FAQ’s and haven’t seen this scenario. Any help or suggestions about this matter will be greatly appreciated. My administrator and I are stumped for now. The account you have is not an administrator user account. You should ask the administrator to recheck your profile and assign you the administrator user role. Go to the theme in the dashboard and re enter the license key/product purchase. That should help. Hello,Thanks for this comparison, it helped alot. However I’m still confused about one thing: what if I buy a domain and host my site through a different company (so I don’t go through wordpress itself), and then download WordPress from WordPress.ORG, can I then download a theme from WordPress.COM and use plugins? Ordoes it not matter when you’re hosted somewhere else, as long as you use a WordPress.COM theme, plugins are unavailable?Thank you for your answer! Hello! I’ve been using for some time the free wordpress.com and now I want to go to next level. Normally I was planning to buy a domain and to upgrade my WP to the premium plan. Two days ago I received an email from for collaboration. I’ve read a bit on their site, look like is Self-Hosted WordPress, they have the Blue Host option and they move all your content on the new page. I don’t know what to do! Can I trust this site? Someone knows them? Thank you! You can easily move WordPress.com blog to self hosted WordPress all by yourself. You can also take advantage of our free blog setup service. This is an informative post. So, thank you for all the detail. I have been looking at WordPress dot com and they appear to have changed their hosting packages. Before you could not monetize but now you can if you have the premium package or above. Do all the above cons you listed still stand or just some of them? I did look at the forum and plug-ins are still not allowed. WordPress dot org does not host anything but rather directs the user to potential hosting companies. It almost looks like WordPress dot com is competing some with those hosts, but maybe not if the only con they appear to have removed is no monetization. Thanks for this comparison, it helped a lot. However I’m still confused about one thing: what if I buy a domain and host my site through a different company (so I don’t go through wordpress itself), and then download WordPress from WordPress.ORG, can I then download a theme from WordPress.COM and use plugins? Or does it not matter when you’re hosted somewhere else, as long as you use a WordPress.COM theme, plugins are unavailable? WordPress.com does not allow you to install plugins. WordPress.org allows you to install any plugin or theme you want.